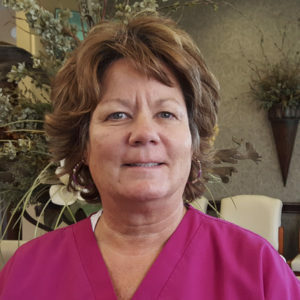 Sharon has been employed by Marion Women’s Health Center since 1999. She attended Marion General Hospital School of Radiologic Technology graduating in 1978. From there, Sharon continued training at Marion General Hospital and received her License from the American Registry of Diagnostic Technologists in 1989, specializing in OB-GYN. She has worked in private practice in women’s health since 1989. She has also received accreditation from The Ultrasound Practice Accreditation by The American Institute of Ultrasound in Medicine. Sharon is on the Board for the Marion Technical School of Diagnostic Medical Sonography and also serves as a clinical site. She also serves as the office manager for Marion Women’s Health Center. She and her husband Randy have two children.